say Vancouver outshines China because of the quality of products. was spectacular. It was Triple A Alberta filet mignon," says Stowe. China from Vancouver every week, says Stowe. 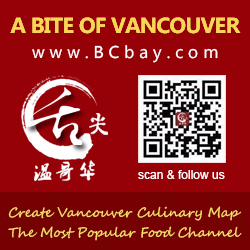 "Most people have no idea how staggeringly important having good Chinese restaurants is to the B.C. economy," says Stowe. "A lot of people in government and tourism don’t realize it generates interest in business and visits to the city. in China is done around a table over lunch or dinner." another for the hand-shredded chicken with bamboo. without the direction of the Chinese Restaurant Awards," says Stowe. 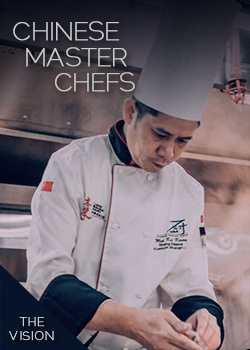 "Local Chinese diners and chefs say they trust the results. outside of China by the international press." and to use Canadian ingredients. On the same day, the CRA gave awards for 10 signature dishes in Toronto. "We want to make sure this is a national organization," says Stowe. This year, the CRA Award gala was held at the Four Seasons Hotel. Tse from Above & Beyond in Hotel ICON. "They’re all superstars and it’s not about personality or television," says Stowe. "These guys are the real thing." awards to 20 dishes after 20,000 people cast votes online.